12th April, 2016-Swayambhunath, Kathmandu, Nepal. We believe that our planet earth is the home of every being and every being has equal right to live here. Animals are our friends, not our food, not a sacrifice to made to cleanse our soul in front of the deity, not our clothes. They should not be abused. 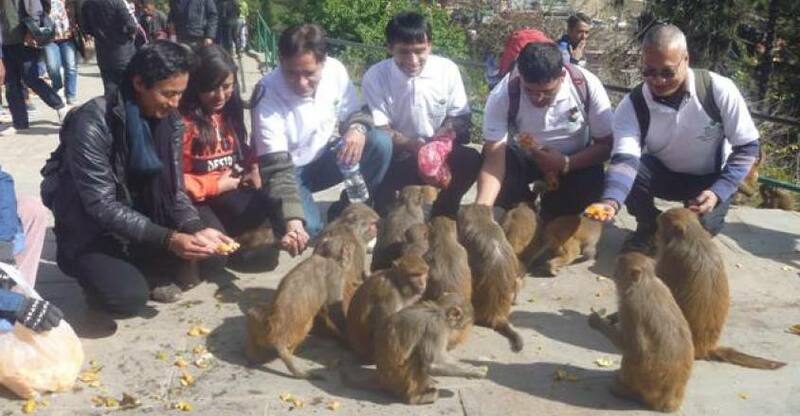 With this goal in our mind, we conducted a gathering at Swayambhunath stupa to provide a condolence to those entire animals who has suffered from the mistreatment from the hand of humans. We pray for them.